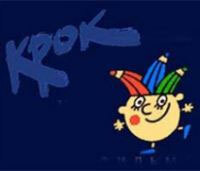 September 22 saw the opening ceremony of the international animation festival “KROK” in St. Petersburg. It is the world’s only floating festival of animation and one of the biggest events in post-Soviet space of animation art. This year the festival will run the route of St. Petersburg - Valaam - Kizhi - Yaroslavl - Moscow. It will be dedicated to young animators’ creations that are not inferior to “adult” animation in their quality and originality, the number of interesting works making up an independent large-scale program. Animators from all over the world seek to partake in the competition - the KROK recognition gives young animators a chance to gain fame in the professional field. After selection procedure 130 animated cartoon films from 33 countries have been included in the competition list. Culture news archive for 25 September' 2008. Culture news archive for September' 2008. Culture news archive for 2008 year.